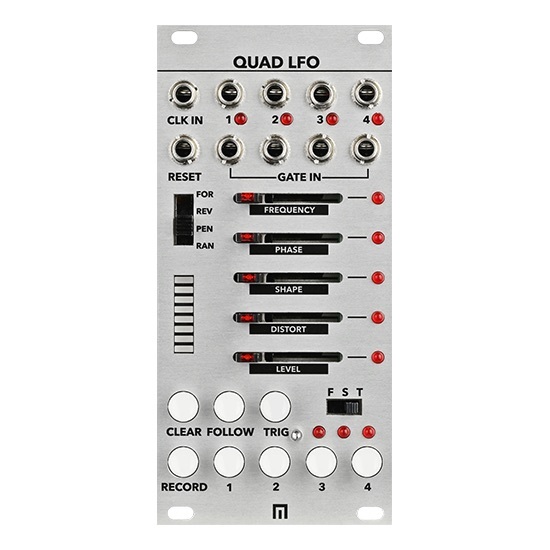 Quad LFO includes 4 LFO generators and outputs, each with 16 steps of automation recording and autosave or expanded preset functions when used in conjunction with Varigate 4+ and Varigate 8+. 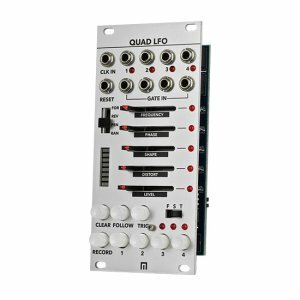 Each channel can be programmed to output an individual LFO with automation recording. 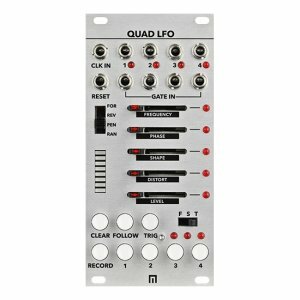 Simply hold the RECORD button and move the sliders for Frequency, Phase, Shape, Distort and Level to animate each of these settings for a given channel. Autosave in stand-alone mode or save settings up to 16 presets with Varigate 4+ and 100 with Vargate 8+. 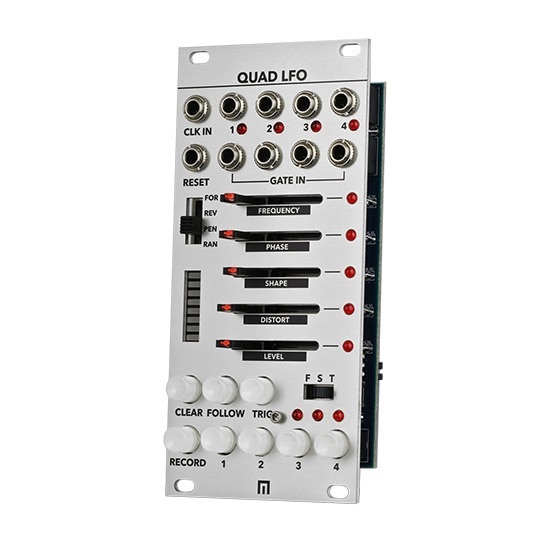 The Quad Envelope adds another dimension of control to live performance and recording.